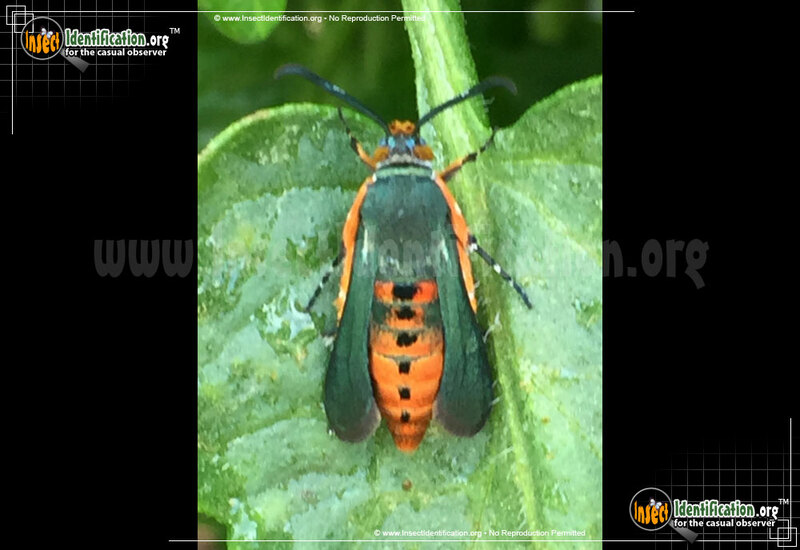 Detailing the physical features, habits, territorial reach and other identifying qualities of the Southwestern Squash Vine Borer Moth. The stealthy larvae of the Southwestern Squash Vine Borer can rot a healthy plant from the inside out without ever being seen. Common to states in the Southwest and Mexico, sightings of Southwestern Squash Vine Borer Moth should put gardeners and farmers on the defensive. The red-bodied, black- winged adults do not harm plants, but their caterpillars can decimate a crop in under a month. After mating, female moths lay eggs on the stems of gourd, squash, and pumpkin vines. The emerging larvae bore into the stem and live inside, eating the inner stem tissue, called the pith, as they grow. The white, wormy larvae remain hidden inside during this life stage and emerge after they pupate. Signs of plant infestation include leaf wilt and then stem rot which expands to other branches and eventually kills the plant. When dealing with Southwestern Squash Vine Borers, the best defense is a good offense. Preventing adults from contacting the plant means the worms cannot get near their food source. Covering vine plants with row cover is effective. Employing traps to catch/kill moths may help reduce the possibility of egg-laying. Cutting off stems that appear infected can curb the spread of the larvae to other healthy branches, thereby saving the whole plant.